God commanded the Israelites to move away from the Wilderness of Sin. So the Israelites picked up their tents and start traveling. The Israelites stopped at Rephidim and camped there. 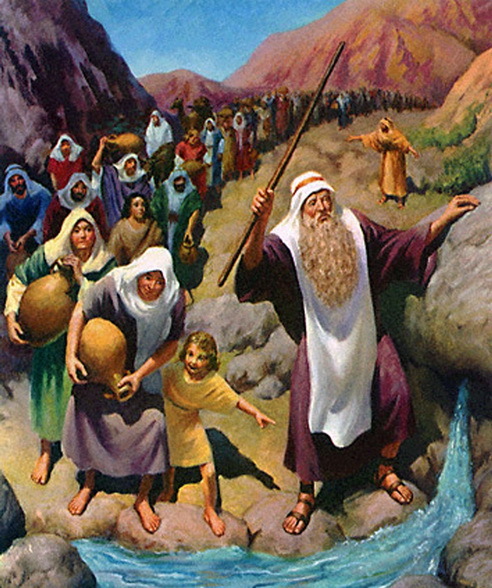 At Rephidim, there was no water to drink so the people of Israel complained against Moses. Moses listened to what God told him to do and he obeyed Him. Moses took his staff and some elders with him. Then Moses went before the Israelites to the river. Moses struck the rock in Horeb in front of the Israelites and water came flowing out of the rock and the Israelites have water to drink.